The youngest athletes had the privilege to wrap up the 25th FSA BIKE Festival Garda Trentino competing in the Scott Junior Trophy in front of a barracking crowd. 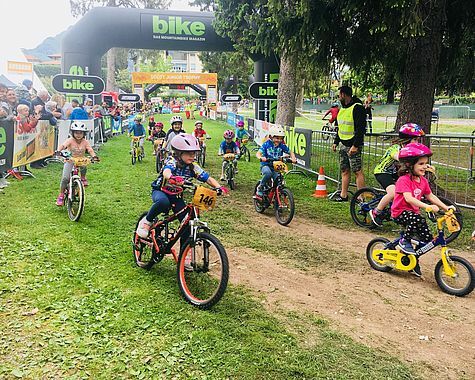 Facing partly cloudy weather conditions in Riva del Garda, mountain bike talents aged three to 14 were able to live it up on a circular course with varying lengths built right behind of Palazzo dei Congressi. Showing some strong legs and will of iron about 300 highly motivated kids battled for medals with fun being to the fore. The reward for all the dedication: cool prizes and a podium shot for the best.